The Zeus X 28 day fitness program has been unleashed. Learn to train like the gods with Grant Davison. The Zeus X fitness program created by former wrestling star Grant Davison is now available through the Zeus Fitness website. Designed by Grant to help people lose weight, build muscle and get back into shape, it is the ideal way to kick off 2013. The New Year is a time when many people make a resolution to finally do something about their health and fitness. However by the end of January only 3% of the people who resolve to lose weight have actually managed to do so. The other 97% are back on the couch despite in many cases shelling out hundreds of pounds on gym memberships, exercise equipment and the latest diet plans from celebrities and health gurus. The Zeus X fitness program is the creation of former pro wrestler and all round fitness god Grant Davison. While he can’t guarantee that anyone using the course is going to lose weight he has done absolutely everything possible to make sure they do. Rather than just being another boring guide or eBook the Zeus X program is a little different. It is a complete 28 day video and exercise regime that can whip anyone into shape in record time. Grant states that anyone following the full Zeus X program for the full 28 days should be able to lose at least 15-20 lbs. of body fat and replace it with pure muscle. The course offers a complete guide to working out for the ultimate body as a well a detailed guide to nutrition to ensure weight loss. Anyone wishing to try the program can sign up for just $1 for the first 7 days after which there is one off fee of just $39 for lifetime access. 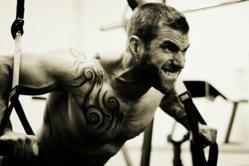 http://www.zeusfitness.com is the latest project from former wrestler and fitness fanatic Grant Davison. Grant started his career in the fitness industry working as a fitness instructor and personal instructor for a leading health and fitness club. When he wasn’t helping people to get six pack abs he would be showing off his moves in the ring as a professional wrestler.